The Summer Schools daily workshops explore the fundamental skills which help develop students as performers as well as teaching valuable life skills. Whether they are hoping to pursue a career in the arts or whether they simply enjoy performing as a hobby, these workshops are suitable for all. The summer schools are led by industry professionals who are passionate about sharing their skills and experiences with the students. Singing - voice production and warm ups, technique, different genres and styles, history of musical theatre. Mini Musical Theatre - Alice In Wonderland (4-7 years) July 31st - August 2nd only 9.30 - 12.30pm each day with a short performance on the last day until 1pm. Dance Summer School (5 - 16 years) 9.30 - 3.30pm each day and until 6pm on the last day after the show. Acting Summer School (9-18 years) 9.30 - 4.00pm each day and until 6pm on the last day after the show. A weeks intensive acting course for students aged from 7-18 years which culminates in a show on the last day at the theatre. Dance Summer School at Hampton Hill Theatre for 5-16 year olds. Musical Theatre Summer workshops for 4-7 year olds. Dancing, Singing and Acting based on Lewis Carolls wonderful classic, Alice In Wonderland. 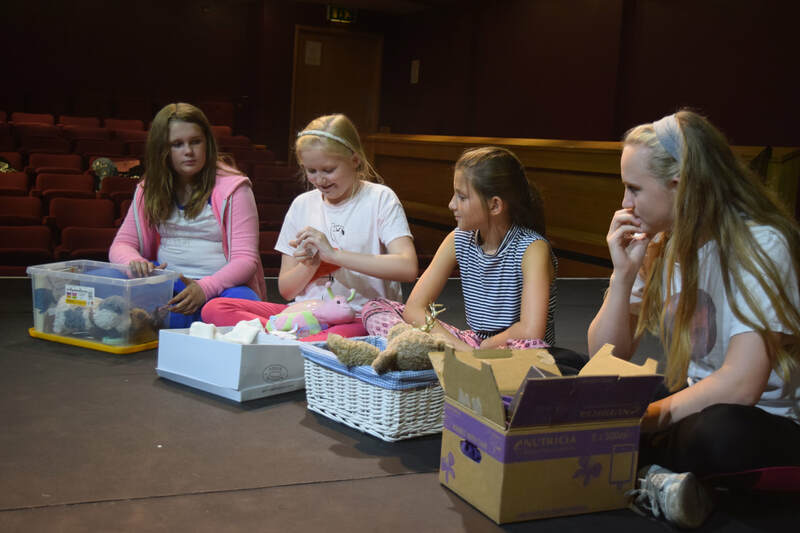 Beginners Playwriting workshop for 7-11 year olds at Hampton Hill Playhouse Learn how to create characters, writes scenes, find a story, create atmosphere and write stage directions and how to layout a script.